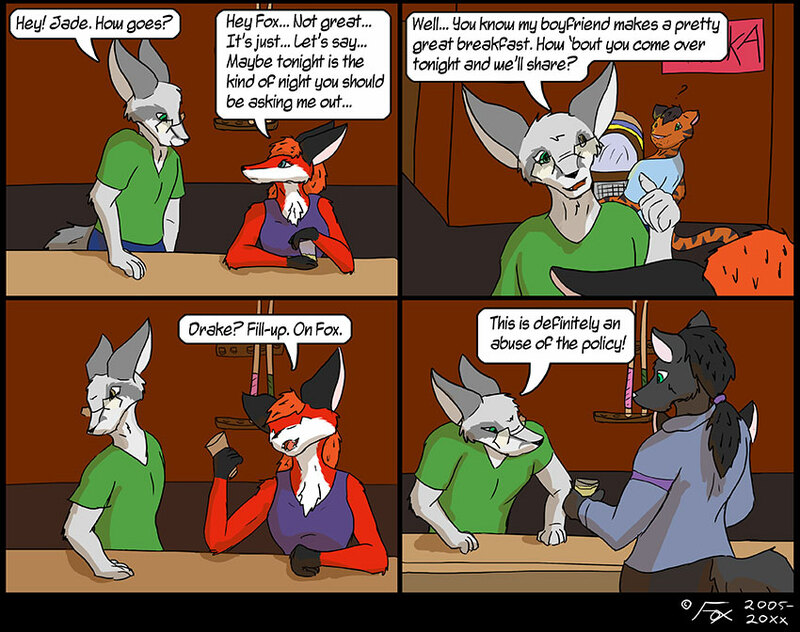 Like a kid that’s just learned new word, Fox seems set on testing out his newfound limits as quickly as possible… How long before Fox realizes what (and who) Jade is really interested in? I’ve been having a lot of trouble drawing lately… but for some reason this one just sort of slid off my pen. It was a relief! Fox, at this point, you could probably just save yourself some dignity and buy her the drink outright.